In late September 2018, Delaware government authorities finalized a deal whereby Gulftainer, a global port operator based in Sharjah, United Arab Emirates (UAE), had been granted a lease to operate Delaware’s Port of Wilmington for 50 years. Gulftainer’s selection comes with the expectation that the company will institute $584 million worth of upgrades to the port’s existing infrastructure. After being announced in early April, the deal was approved by both chambers of the Delaware General Assembly and was signed into law by Governor John Carney this past September with resounding bipartisan support. Contrasting with the widespread benefits for Delaware are the concerns from workers, officials, and operators of the Port of Philadelphia, anxious that this latest move will sharply increase competition between the two ports. While interests on these opposing sides of the Twelve Mile Circle may view the leasing agreement through vastly different lenses, what unites these two parties is how the rhetoric surrounding the Gulftainer deal differs starkly from the rhetoric that ultimately stopped the Dubai-based company DP Ports World from finalizing similar port-operations agreements in 2006. While the DP World Controversy may be remembered as a mere-footnote in the history of US-UAE relations, twelve years ago the company’s imminent replacement of Peninsular and Oriental Steam Navigation Company (a British-ports operator) as the manager of six seaports in the United States became a major national security controversy, ultimately being withdrawn after it became obvious that then-President George W. Bush would lose in a showdown with Congress. While policymakers from Pennsylvania and Delaware will understandably diverge in how they view this agreement, what is certain is that the economic frames of reference within which this debate is occurring evidences how attitudes toward the Gulf are no longer being informed via the understandable collective American paranoia that occurred in the years immediately following events of September 11, 2001. While much of the Gulftainer deal was led, negotiated and approved by state-officials in Delaware, as a UAE-based company the contract had to be approved by the Committee on Foreign Investment in the United States (CFIUS), a joint group comprised of members of the US Departments of Treasury, State, Defense, Commerce and Homeland Security. 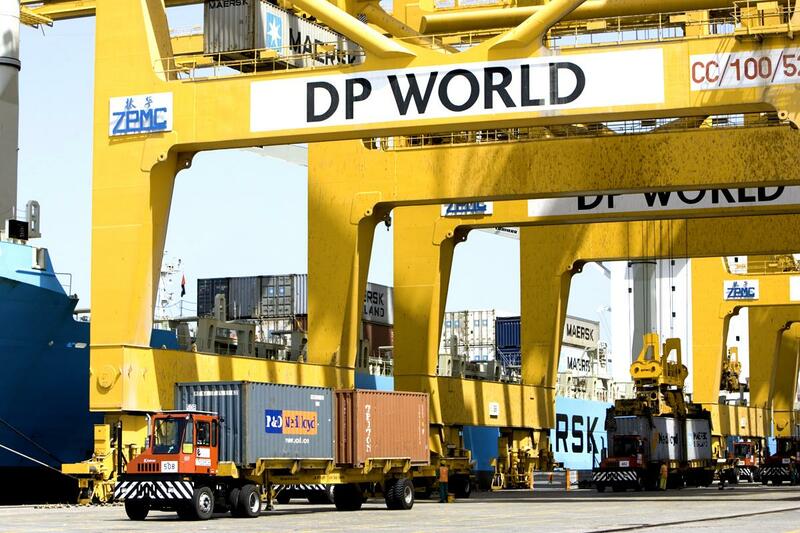 For the small crowd of Americans who track the nature of these deals, that acronym may sound familiar, as the same committee also approved the DP World takeover of several US ports in 2006, however, such a decision received a much different reaction. In early 2006, upon news that DP World shareholders approved the deal Senator Chuck Schumer (D-NY) declared, “Foreign control of our ports, which are vital to homeland security, is a risky proposition. Riskier yet is that we are turning it over to a country that has been linked to terrorism previously.” Never mind that the ports in question had previously been operated by a British (read: foreign control) company, Senator Schumer’s comments are a not-so-subtle reference to the fact that two of the 9/11 hijackers were Emiratis. As written by scholar Dania Khatib, “[Senator Schumer] was able to manipulate the masses and to play on their fear of terrorism by signaling that two of the hijackers were Emiratis. He was able to create a grassroots base to oppose the deal.” While Schumer’s statements were allusions to a mere reality, other public officials soon began discussing the deal in more moralistic terms. Then Senator Frank Lautenberg (D-NJ) said, “We wouldn’t transfer the title to the devil, and we’re not going to transfer it to Dubai.” Also emphasizing that her reservations to the deal were largely informed by virtue of Dubai being an Arab emirate then-Congresswoman Sue Myrick (R-NC09) declared, “Dear Mr. President: In regards to selling American ports to the United Arab Emirates, not just NO, but HELL NO.” Its hard to blame the legislature, especially the Democrats, for making the DP World acquisition a linchpin issue especially given that the controversy proved effective in rallying support against the President in a midterm election year. For decades, jobs at the Port have helped stabilize Delaware families and the communities where they live. I was proud to help make our partnership with Gulftainer official today, and I want to thank members of the General Assembly, the Diamond State Port Corporation, Gulftainer, the International Longshoremen’s Association, and all of our partners who have helped make this agreement a reality. Interestingly enough, such a shift in the rhetoric in how UAE acquisitions of American ports have been discussed has not been accompanied by any significant shift in how American voters and citizens perceive the United Arab Emirates. In fact, the most recent available polling, (which has not been published since 2013) shows that Americans tend to view the UAE in a negative light, with a poll done by the Arab America Institute showing that US citizens only have a 19% positive approval rating of this nominal American ally. Additionally the poll also found that Americans who have no knowledge of the UAE (which was a staggering 43% of respondents) would still characterize the UAE negatively in spite of their lack of knowledge on the subject. From this result we learn two insights. First, Americans’ willingness to consider the UAE negatively even if they admit to knowing nothing about the country shows that the public image of the Emirates remains at a disadvantage due to the negative attitudes about Arabs and Middle Easterners that circulate amongst the American populace. Secondly, the large amount of Americans that know nothing about the Emirates means that the cues relayed to them by their elected officials become all the more significant as the public weighs acquisitions and foreign investments by the likes of DP World and Gulftainer. Therefore, it is incumbent on our elected officials to have debates concerning these acquisitions without appealing to negative attitudes. The rhetoric surrounding Gulftainer indicates a positive start. Julio J. Rotenberg, “The Dubai Ports World Debacle and Its Aftermath,” Harvard Business School, August 29, 2007. Dania Koleilat Khatib, The Arab Lobby and the US: Factors for Success and Failure, (Abingdon: Routledge, 2016), 11. “Documents Show Conditions for Dubai Deal,” NBCnews.com, February 22, 2006. David E. Sanger, “Under Pressure, Dubai Company Drops Port Deal,” New York Times, March, 10, 2006. “Carper Highlights Major Water Infrastructure Bill Wins for Delaware at Port of Wilmington,” Carper.senate.gov, October 15, 2018. Tom Carper, “Carper’s Corner,” March 3, 2006. “Center for Security Policy,” Southern Poverty Law Center. “President Trump, Just Say no to Gulftainer,” Center for Security Policy, April 17, 2018. Mary Fanning and Alan Jones,” Representative Duncan Hunter to Trump: Gulftainer Port of Wilmington Deal Requires CFIUS National Security Review,” Center for Security Policy. April 17, 2018. Meg Cunningham, “Controversies turn Spotlight on California Race Between Camp-Najjar, Hunter,” Abcnews.com November 1, 2018. Meg Cunningham, “GOP Rep. Duncan Hunter Under Fire for Ad Calling his Opponent a ‘security risk,’ cites Munich Plot.” Abcnews.com, October 15, 2018. “USA-UAE Viewing Eachother,” aaiusa.org, February 04, 2018.